Meet Bethlehem University Student Nicola Darwish! 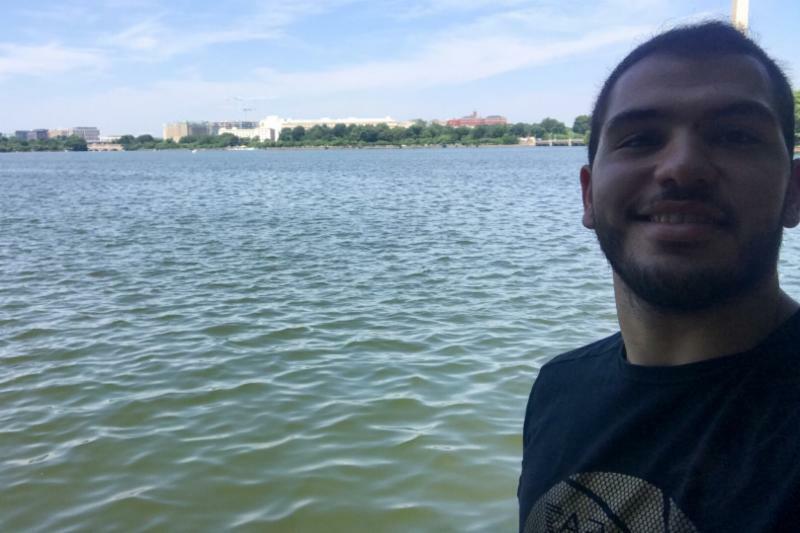 Nicola Darwish, a rising senior at Bethlehem University, has been interning this summer at the Archdiocese for the Military Services, USA in Washington, DC. His major is English Literature with a minor in Translation. As a Catholic in a part of the world that numbers less than two percent Christian, Nicola reflects on his experience at Bethlehem University with an expanded inter-religious perspective. "Many of the students, before arriving at the University, had never actually met people from different faiths before. But at Bethlehem University, whether you are Muslim or Christian, you belong. We do not distinguish ourselves as Christians or Muslims, but as Palestinians." 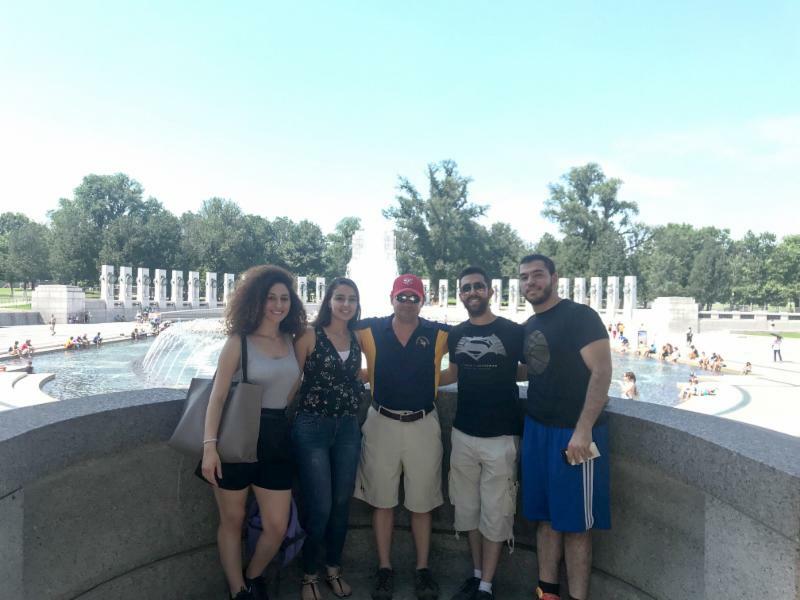 As part of the Student Ambassadors program at Bethlehem University, Nicola and four other students are interning in the United States this summer. 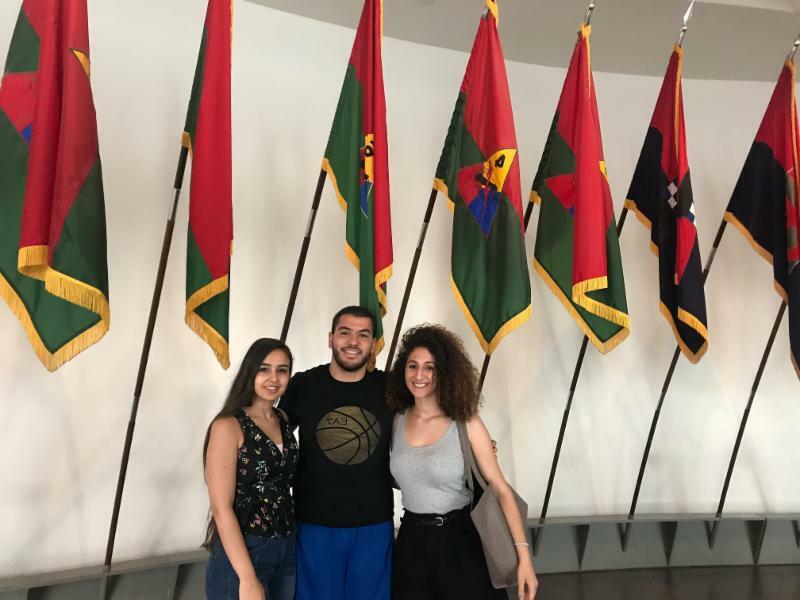 On Bethlehem University's campus, the Ambassadors guide tours for visiting groups and help tell the story of the University to the international community. The Ambassadors are also eligible for internship programs thanks to the generosity of the Sir John McGuckin Mentoring and Internship Program of the Northwestern Lieutenancy of the Equestrian Order of the Holy Sepulchre of Jerusalem. Interning with the Archdiocese of the Military Services, Nicola has been serving in a variety of roles including reviewing the lives of former military chaplains and working with sacramental records database. 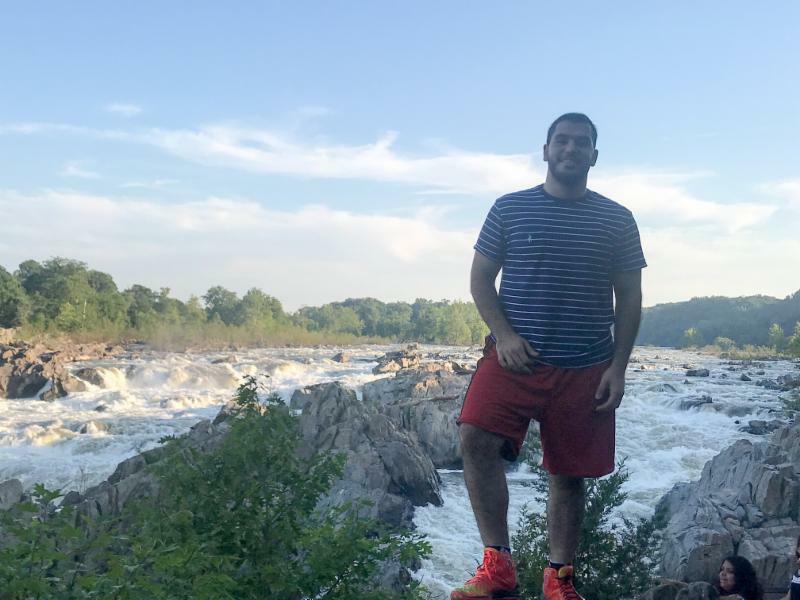 He sees his time in Washington, DC, as more than just gaining work experience; "This internship gives us students the opportunity to have our voices heard, because not many people know the reality of what is happening in Palestine. I am proud to tell my story and share all that Bethlehem University has done for me." Upon graduation, Nicola hopes to work as a translator, using his personal skills, training, and experience to better himself and his homeland. He is a regular volunteer on campus at Bethlehem University. He also volunteers with a Jericho youth Bible-study, helping to read Bible stories in English and translate the texts to Arabic, and helping the youths to understand the Scriptures. He has also used his skills in translation working with patients at a free eye-clinic with the Seeds of Hope. It is not all work and no play with Nicola. He loves to exercise and participate in sports including soccer, basketball, swimming, and bodybuilding. Nicola wished to thank the large community of supporters of Bethlehem University, "I know that a simple 'thank you' would not suffice for all that you have done for us. Not only have you helped us financially, but the fact that there are people out there who care about us and want to help us is priceless. On behalf of all the students at Bethlehem University, thank you. We look forward to repaying the faith you have shown in us."